Banana what??? That’s right – banana sushi. And it was super simple and the kids thought it was delicious! All it took was to peruse a little Pinterest, come up with a few ideas, adjust it to what we needed and voila! A new treat for EJ’s kindergarten class. I paired it up with sliced strawberries, sliced apples and sliced summer sausage, making it a healthy, hefty snack for a room full of little ones. Take that, new school food rules! Here’s the simple recipe, along with photo instructions…fool proof, I promise you! To start with, take two slices of bread and cut off the crust. 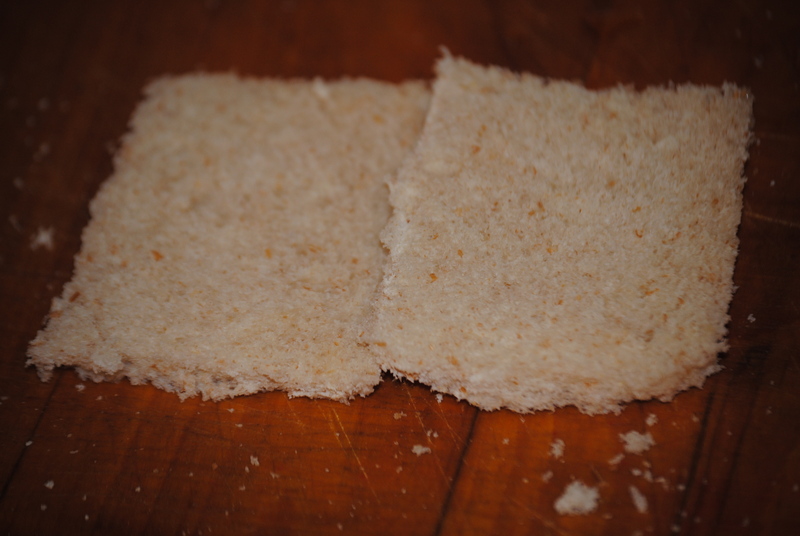 Remove the crust from the bread and lay them side by side. 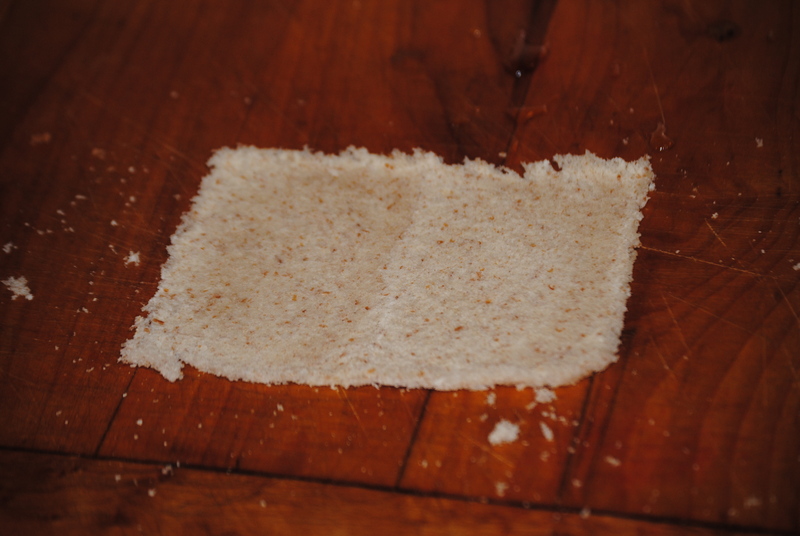 Flatten together with a rolling pin, to make one big, flat slice of bread. One giant squished piece of bread. Add a healthy dose of honey…or just a little, whatever your taste. 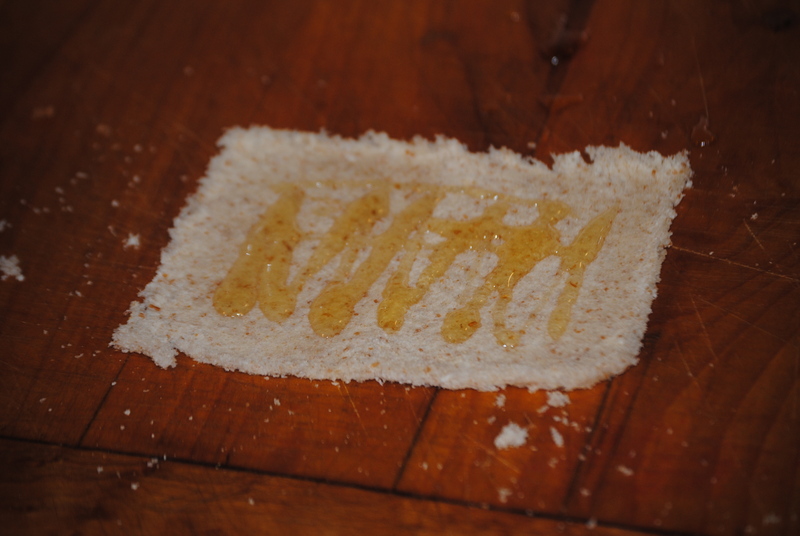 Add honey to your bread. Peel a banana. If it’s too curved, you can always just use your hands to “straighten” it a bit. 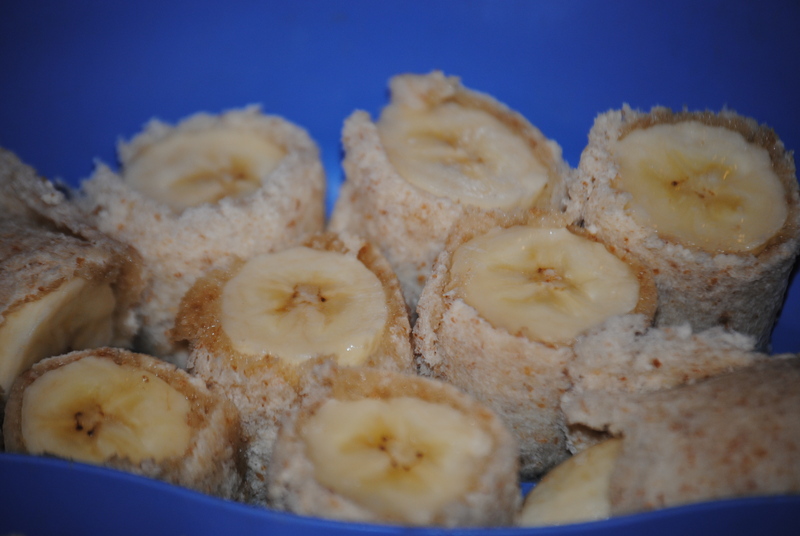 In fact, I found the bananas very easy to manipulate into a straight shape…it was just a tad messy. This entry was posted in Boys, School lunch and tagged children, food choices, fun, school lunch guidelines, school snack by wagfarms. Bookmark the permalink. will give this a try…..thought about adding a little flaked coconut on top of the honey then the banana. That sounds good! I was also thinking about using different jams or jellies, to change up the flavor a bit, in place of the honey. Very versatile, and can be easily swapped up here and there! You can do this with tortillas, too. And it’s great with peanut butter and coconut along with the bananas and honey. Yum, yum! I’ll have to try that sometime. We had to go without peanut butter, due to an allergy in the classroom…but they were a hit!